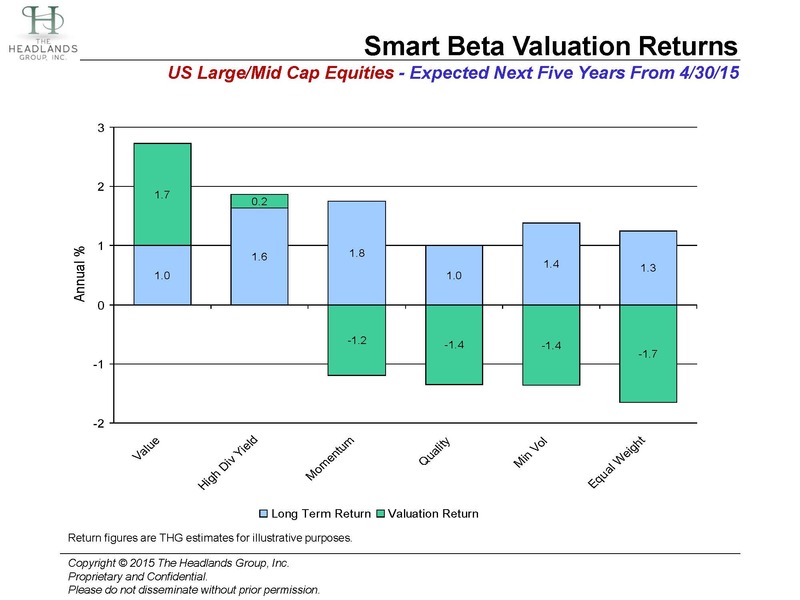 New smart beta investors in Equal-Weighted, Minimum Volatility and Quality are overpaying for the strategies. They are overpaying by so much, actually, that their entire expected return advantage over the next five years will be wiped out. New investors in Momentum still have 60bps/year of return left after overpaying. High Dividend Yield investors are paying a reasonable price – adding 20bps/year to their expected advantage. The good news for new investors in Value is that very attractive pricing today offers the opportunity to nearly triple their expected return advantage (2.7% vs 1% annually).